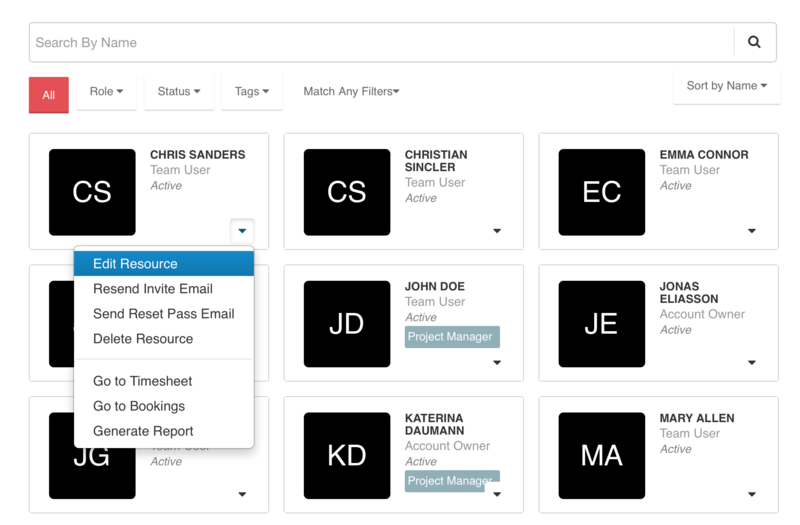 Manage Resources Page displays an overview of your entire teams of people. You can access this page from your Settings located in Tools. Then just click ‘Manage Resources from the left sidebar. Clicking a resource will open the edit modal allowing to you to edit their information. Located just above the manage resources grid. Using the Match All will perform an AND match and everything you select must match. Using an ANY match will act like OR logic and match any of what you choose. This way you can create a broader or more narrow search.